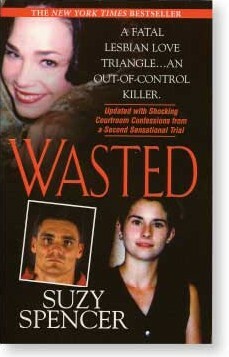 Wasted is everything a true crime book should be: lean, fierce, and unsparing. It’s factual, gory, and macabre. “You have got to start getting it together and detaching from the situation,” said Anita Morales. Though she had barely seen Regina Hartwell for months on end, Anita and her new roommate, Carla Reid, had seen Regina almost every night. And almost every night, trying to put some meat back on her bones, Anita and Carla fed Regina. Hartwell had been wasting away to nothing since she and Kim LeBlanc had been hanging with Justin Thomas. But Morales and Reid didn’t know that it was drugs, coke, crystal meth, and speed draining Regina’s body, soul, and spirit. They thought she was bulimic. Hartwell vomited a lot; her stomach couldn’t hold anything down because she was always upset. They thought it was Kim LeBlanc. Kim this. Kim that. Kim does this. Kim does that. Anita and Carla were sick and tired of hearing Regina complain about Kim. Hartwell jammed her hands deep into her baggy blue jeans’ pockets. She wore the jeans and plaid shirt that she often made fun of as the de rigueur lesbian uniform. Regina Hartwell stared at the ground and studied her toes in her favorite Doc Martens sandals. There was no way she could look Anita in her brown eyes. Anita was just too intense, just too serious for Regina right then. Hartwell was serious, too. At least she looked like she was seriously listening, like a kid who was getting in trouble with her school teacher. But she wasn’t listening. When Regina had her mind set, there was no changing it. And Regina had her mind set. Anita might as well have been talking to a wooden fence. Folks just didn’t understand what it was like to feel you had another person’s blood flowing through your veins, making your heart beat, your skin tingle, your mind want to work, your arms want to reach out and touch and hug and love and breathe and feel loved and fulfilled for the first time in your life, like you’re not alone in the world, like there’s a mother to care for you, a family who won’t abandon you, someone who accepts you even when you feel all ugly inside. But Regina understood. And it was worth life.